© Andres Tennus/The University of Tartu. On Sunday, June 18, 2006, a UNESCO World Heritage plaque was unveiled at Tartu Observatory on Toome Hill, confirming the inscription of the Observatory in the World Heritage List as part of the Struve Geodetic Arc. 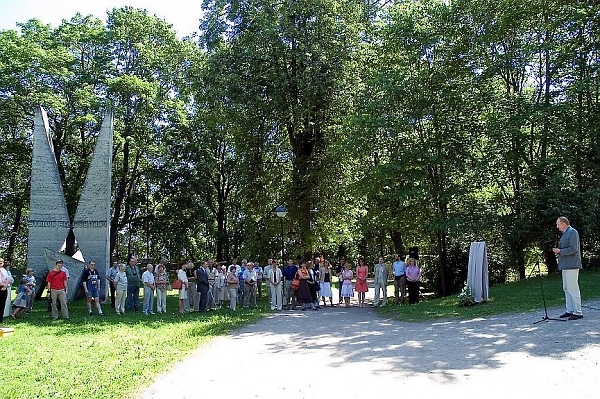 The plaque was unveiled by UT Rector Professor Jaak Aaviksoo, the Mayor of Tartu Ms Laine Jänes, and the Director General of Estonian Land Board Mr Kalev Kangur. 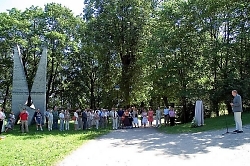 The ceremony included an explanation of the significance of the Arc and a demonstration of historical as well as modern surveying equipment. 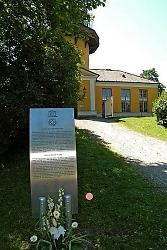 The public had access to the Observatory and the Observatory's planetarium was operating. The event continued at the UT History Museum, where Dr Tõnu Viik and Dr Jüri Randjärv gave presentations on Struve as the scientist who enabled us to get a more precise idea of the shape of the Earth and on his Geodetic Arc. These were followed by a discussion of how historical heritage can serve the future. 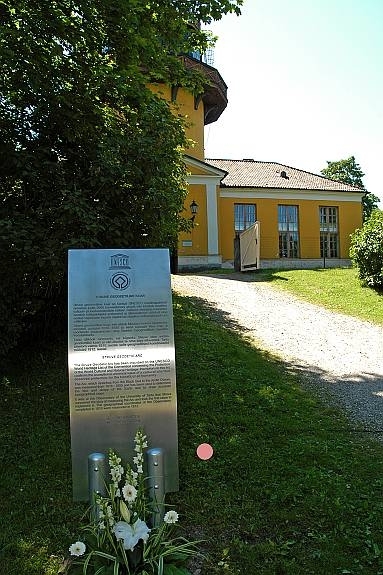 The UT Observatory, completed in 1810 is a significant monument in the history of world geodesy and astronomy. The famed building, however, is now in need of repair. 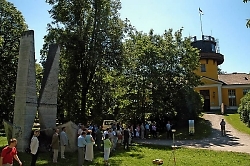 The strategic plan for the development of the Toome Hill area, drawn up in collaboration between the City and the University of Tartu foresees the restoration of the Observatory as a museum. This page is maintained by the FIG Office. Last revised on 17.01.2019.